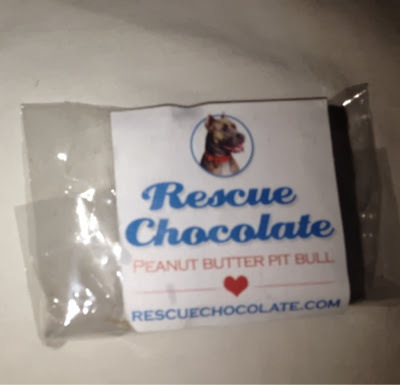 I was really looking forward to trying the Rescue Chocolate bar because it was peanut butter flavor but it ended up being weird and kind of gross. Major sadface especially since they are for a good cause! The chocolate was weird and waxy. There was barely a peanut butter taste it was sort of hollow bit crunchy inside but all I could taste was the off chocolate. Unfortunately I do not recommend this because I am going to assume that the chocolate will taste the same on all of their products and it was really bad.